Mile Square, the Players Hole 2: This relatively long par four gives the player their first taste of water as the second shot must clear it. Although there is a decent amount of room over the water before the green, front pin placements can bring it into play. The green is long and tough to putt. Mile Square, the Players Hole 3: This is a medium length par four with bunkers left of the fairway. The second shot needs to avoid the water and sand to the right with a green that slopes strongly from back to front and from left to right. Missing left is no bargain either as the chip is very fast from there. Mile Square, the Players Hole 5: The first par five of the day is all about the drive. The water to the right is definitely in play, as are the bunkers to the left. From there, it's slightly uphill to a narrow, deep green with a moderate tier in the middle. Mile Square, the Players Hole 8: This long, dogleg right was one of two holes borrowed from the old “Classic” course and is a real tester. The ideal drive will flirt with the bunker on the right side of the fairway to leave a shorter approach to the long, narrow green set between two bunkers. 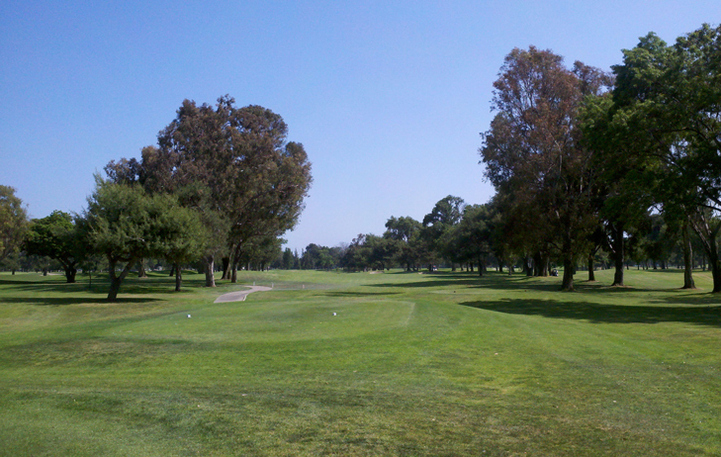 Mile Square, the Players Hole 9: The other "old" hole, this one features a drive with enourmous trees on the left side and bunkers and more mature trees to the right. The perfect draw can allow the player to go for the green in two, but the shot is usually into the wind and there are a lot of strategically placed bunkers to contend with along the way, regardless of how the hole is played. Mile Square, the Players Hole 11: The toughest drive on the course features water right (and a large bunker that may actually save a shot from going in it) and water again long and left. The fairway pinches heavily the farther down the fairway the drive goes, so longer approaches are usually chosen. The second shot must clear the water and avoid the large bunker front right of the green. 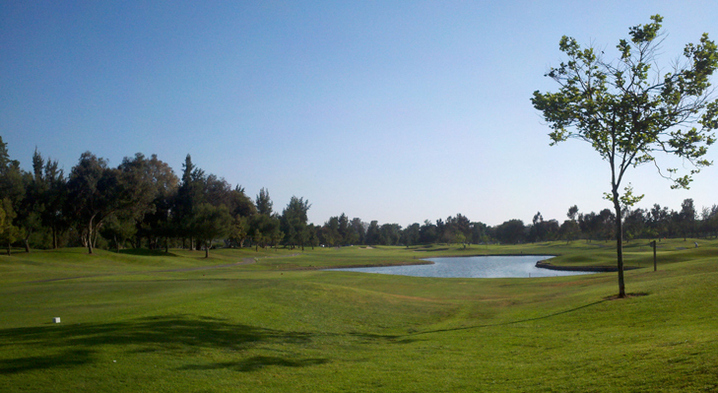 Mile Square, the Players Hole 13: A short uphill, par four, there is OB left and a lake right. 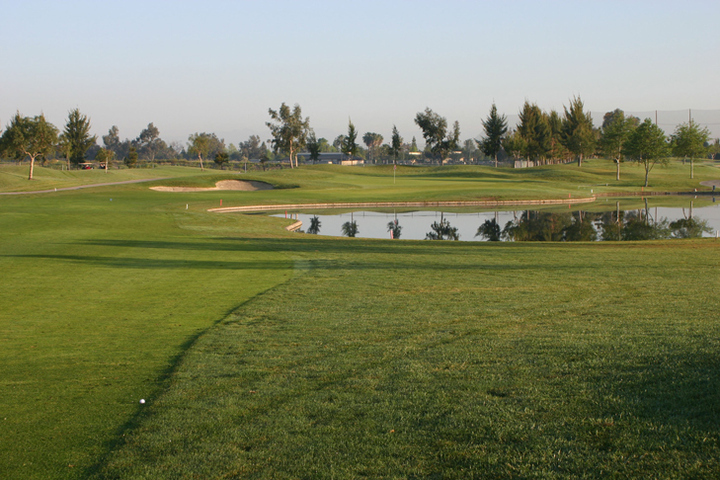 Although the fairway is wide, it is one of the few drives the player will face with danger on both sides of the fairway. The green is long and well-bunkered, so an accurate second is a must. Mile Square, the Players Hole 15: This is a beast of a par four with an uphill drive that must avoid the bunkers on the right at all costs. 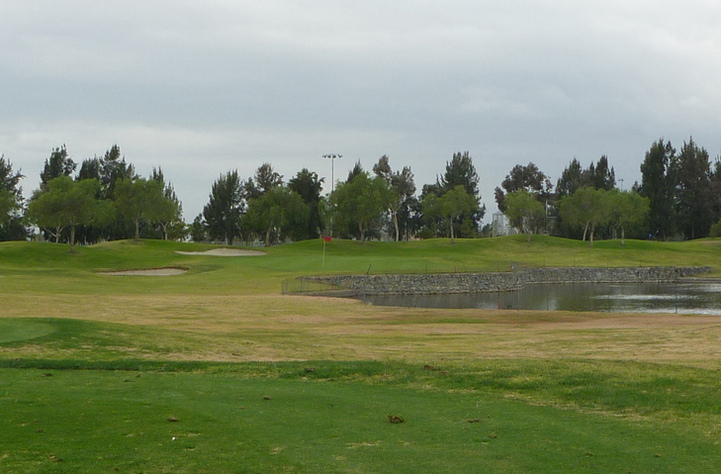 From the landing area, it is slightly downhill to a green with water to the left and a sand trap behind. It slopes from back to front and right to left. Mile Square, the Players Hole 16: This short par three is perched right above a lake short and right with an unforgiving rock wall backing so the object is clear: avoid the water at all cost. There are bunkers left and long for the overcompensating golfer. Mile Square, the Players Hole 18: The prevailing wind is in the player's face, and when it is strong, the drive is very difficult as the lake on the right will grab any pushed drive that doesn't carry 200+ yards. The trees on the left are also thick and unforgiving. The green is guarded well by bunkers and has strong slope. 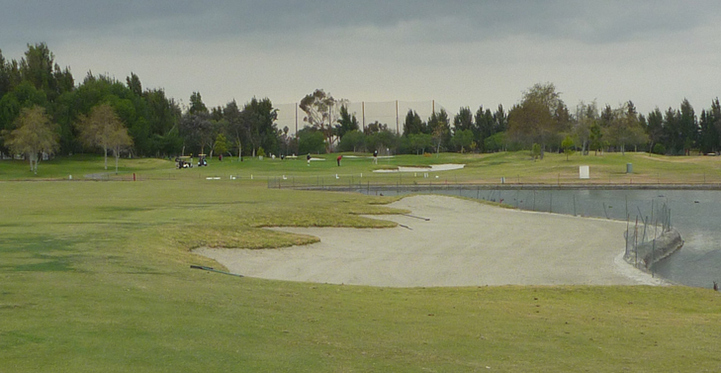 More Orange County Golf Course Reviews, California.